Climbing Mount Kilimanjaro is an amazing experience; Kilimanjaro is one of the most accessible high-altitude mountains in the world and does not require any technical training or technical equipment. You will have a team consisting of a guide, assistant guide, porters and cook supporting you during your trek. They will carry all the necessary equipment, food and supplies required for the duration of your time on Kilimanjaro. Although you do not need to do any training with climbing equipment, carry oxygen or buy specialist clothing. The experience of climbing to over 19,000 feet, walking for up to eight days and sleeping outdoors, will mean that careful planning and preparation is required to give you the best chance reaching the summit. To help you prepare for your Kilimanjaro adventure, I have highlighted main elements that should be considered before booking your trek and how to prepare for your climb. Before booking transportation to Tanzania and ultimately to the starting point of your climb you need to decide if you are just climbing Kilimanjaro, or are you planning to enjoy other adventures and relaxation opportunities. If you are going to Tanzania just climb Kilimanjaro, the best option is to fly directly to Kilimanjaro International Airport. However, if you plan on spending time in Zanzibar, going on safari or visiting other parts of the region, consider flying into Nairobi, Dar es Salaam or Zanzibar. More and more international airlines fly to Tanzania every year; the two major airports in Tanzania are Dar es Salaam International Airport and Kilimanjaro International Airport (near Arusha and Moshi). Most Kilimanjaro treks start out in Arusha or Moshi in Tanzania. Kilimanjaro International Airport (airport code JRO), is located midway between Arusha and Moshi and handles international flights, while the much smaller Arusha airport (airport code ARK) handles domestic Tanzanian air traffic. Budget travelers and backpackers with more time than money should look at all options carefully. A bus trip is not the most comfortable way to get around Tanzania; however, it is an adventure and an economical way to travel the country. The only regularly scheduled direct flights from outside Africa to JRO are from Europe (Amsterdam and Frankfurt). 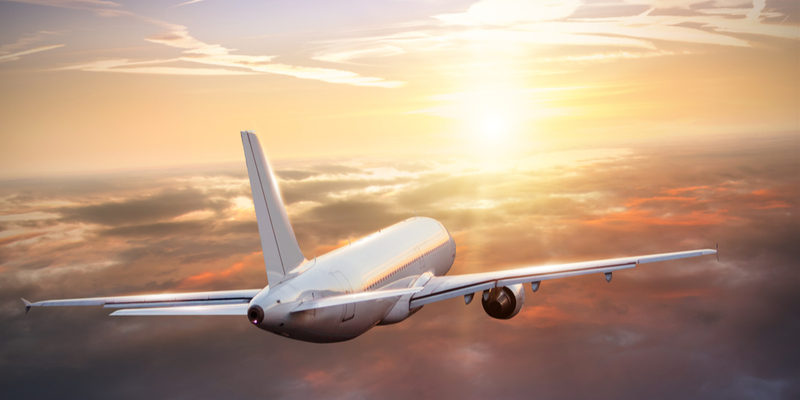 If you are arriving from North America or elsewhere, you will have to make a transfer in Europe, or fly into another African city and make a connection. For most travelers, the most convenient way to get to Kilimanjaro from outside of Africa is to take the daily flight on KLM from Amsterdam AMS to JRO. The KLM flight does a loop: departs Amsterdam in the late morning and arrives Kilimanjaro in the evening (flight time is around 8 hours), short hop to Dar es Salaam DAR, then back to Amsterdam overnight. KLM and its Sky Team partners (Northwest, Continental, Delta, Air France, etc.) have connections to Amsterdam from around the globe. If your travel dates are flexible the discount German airline Condor has some great fares from Frankfurt, Germany FRA to JRO. However, they only fly once a week, departing Frankfurt on Tuesday nights, arriving at JRO on Wednesday mornings, and returning to Frankfurt on Wednesday night. Condor has connections to Frankfurt from across Europe, as well as from several North American cities. Johannesburg, South Africa JNB, on South African Airways from Washington DC IAD, Sydney Australia SYD, Hong Kong HKG, etc. Ethiopian Airways offers Kilimanjaro flights at good prices from Addis Ababa via Nairobi (they also fly to Europe and a handful of other international destinations). Kenya Airways offer flights to Kilimanjaro from Nairobi three times a day. The flights are operated by Precision Air, a young and dynamic Tanzanian airline with competitive prices. Precision Air also operates flights from Dar es Salaam or Zanzibar to Kilimanjaro. Another local carrier is Air Tanzania who operates Kilimanjaro flights from Johannesburg in South Africa and also connecting flights from Kilimanjaro to Dar es Salaam and Zanzibar. http://www.regionalluxuryshuttle.com/ scheduling and booking portal. https://www.eastafricashuttles.com/riverside.htm scheduling and booking portal. US$150/Vehicle by Minibus, 3 Doors/ 24 seats. US$50/Vehicle by salon car, 4 Doors and 4 seats; US$80/ Vehicle by safari van, 3 Doors/7 seats; US$130/Vehicle by Minibus, 3 Doors/ 24 seats. US$20 per Vehicle by salon car, 4 Doors/4 seats; US$40/Vehicle by safari van,3 Doors/7 seats; US$80/Vehicle by Minibus, 3 Doors/ 24 seats. Taxis can be found outside the Arrivals hall at Kilimanjaro International Airport, especially with KLM flights. Expect to pay about USD $50 or TZS 75,000 to either Moshi or Arusha for 4 people. There is some room for negotiation, especially since taxi drivers have likely come from Moshi or Arusha to drop off passengers departing from Kilimanjaro International Airport and do not want to drive back without a fare. *Note that many booking agents (including several online), offer transfers as well, it might be worthwhile exploring this option prior to arrival. Vayama offers flights on regional and domestic African airlines, such as Air Tanzania and Precision Air. Their interactive mapping tool is pretty cool too! The main limitation is that their website only accepts US and Canadian credit cards. Kayak.com scours hundreds of online sources for the cheapest fares available. The more flexible you are on time and destination, the better your chances of finding a great deal. Search for dates up to three days before and after your ideal travel dates, or use the Buzz tool to search for flights that leave within a calendar month, in the six upcoming weekends or just anytime. If you are flexible on destination, Buzz also lets you search a region, such as the Caribbean, Europe or Asia. And with the site’s Explore tool, you can scan a world map for all the destinations you can reach within a specified price range. Bing Travel gives you a recommendation to either buy a ticket now or wait for a fare based on its “price predictor.” The price predictor forecasts whether fares on major domestic routes will go up or down. Enter your desired itinerary and the site will return a list of flight options, along with a recommendation to buy now or wait. WhichBudget.com helps you build an inexpensive overseas flight plan by using local, budget airlines — a great way to save on international travel. It’s based on a comprehensive list of airlines servicing 170 countries. Select your overseas starting point, end point or both, and the site will list airlines you have probably never heard of that service each route. For example, if you search for flights from Bangkok to other Asian destinations, you will get options from AirAsia, Jetstar and Nok Air. Click on an airline’s link and you will be redirected to its home page to book a flight. Yapta.com will track a flight’s price for you after you buy your ticket. If the costs drop below what you paid, most airlines and online travel agencies will refund the difference, typically in the form of travel credits or vouchers. Yapta will alert you to falling fares via e-mail or tweet. If the change in price dips below the cost of any “re-booking fees,” the site will explain how to collect your refund. Obtain a visa before you depart the UK from the Tanzania High Commission. Purchase your visa on arrival in Tanzania. I would recommend getting your visa before you travel to avoid any issues when you arrive in Tanzania. The visa can be obtained by post or directly from the Tanzania High Commission office in London. Visas can be obtained within 24 hours by visiting their office if required, but there is an additional charge for this. Visit the Tanzania Embassy website here. Afghanistan, Abkhazia, Azerbaijan, Bangladesh, Chad, Djibouti, Ethiopia, Equatorial Guinea, Eritrea, Lebanon, Mali, Mauritania, Morocco, Niger, Palestine, Refuges and Stateless individuals, Senegal, Somalia, Sierra Leone, Tajikistan, Turkmenistan, Uzbekistan, Kazakhstan, Kyrgyzten, and Sri Lanka. Vaccination against cholera and malaria is recommended. Yellow fever vaccination is required for ALL persons from yellow fever endemic countries/regions. Those in transit for 12 hours or more and/or who leave the airport vicinity in a yellow fever endemic area are required to get vaccinated. All individuals from yellow fever endemic regions traveling by way of air, marine and land are required to get vaccinated. Medical Alert: Due to a current outbreak of yellow fever, the ministry of health in Tanzania and Zanzibar is taking precautionary measures and has requested that everyone show a valid yellow fever vaccination certificate at all ports of entry. Please remember to carry your yellow fever vaccination cards when entering Tanzania from another country and also when traveling to Zanzibar and all ports of debarkation in Tanzania. A passport and visa are required for travel to Tanzania. U.S. citizens with valid passports may obtain a visa either before arriving to Tanzania or at any port of entry staffed by immigration officials. The U.S. Embassy recommends that U.S. citizens obtain their visas before arriving in Tanzania to avoid long delays at entry points. The current fee is $100 for a 12-month multiple-entry tourist visa. 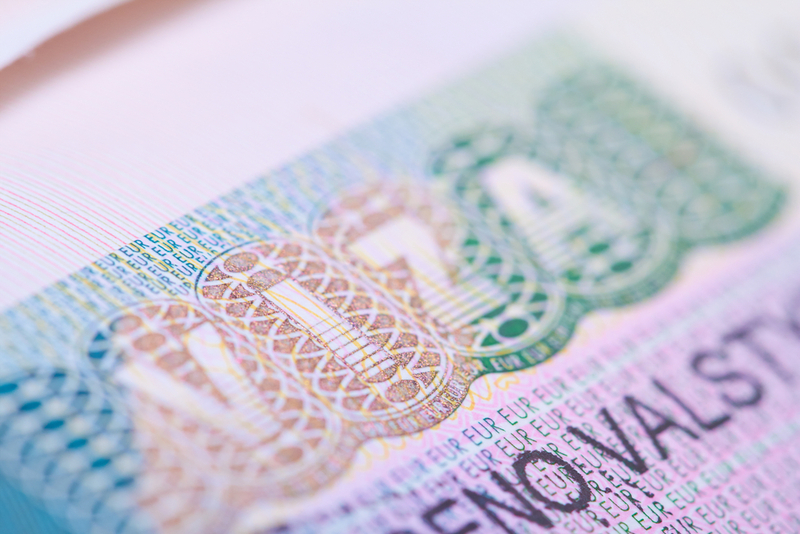 Visa fees could rise again as they reciprocate U.S. application fees. Some border posts and embassies may have technical difficulty in producing the 12-month visa, and may make hand-written annotations on the computer-printed visa. U.S. passports must be valid for a minimum of six months beyond the date the visa is obtained, whether it is acquired beforehand or at a port of entry. Foreigners may be required to show their passports when entering or exiting Zanzibar. The web site of the Embassy of Tanzania in Washington, DC states yellow fever vaccinations are required for persons from, or who have visited, yellow fever endemic countries. Tanzanian law is very strict on visa categories. 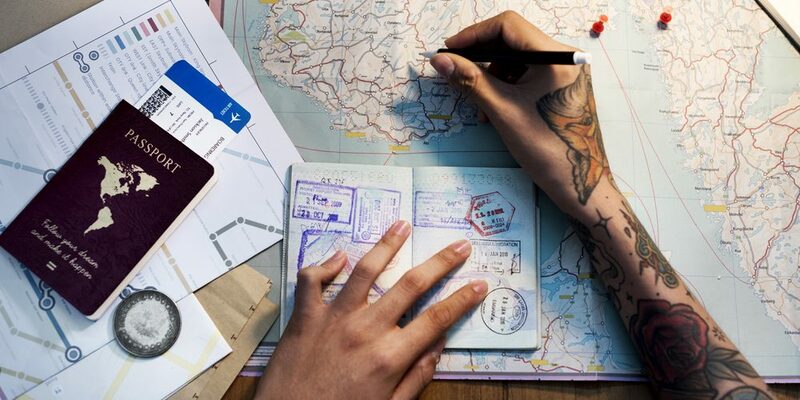 A recurring problem encountered by U.S. citizens is that volunteer activity – even if the traveler is paying for the volunteer opportunity – is prohibited on a tourist visa. U.S. citizens traveling to Tanzania for short- or long-term volunteer projects should review their status with the sponsoring organization before entering the country. Travelers are reminded to safeguard their U.S. passports while in Tanzania. Passport loss can lead to departure delays and disruption of travel. Tanzanian authorities require that travelers not in possession of the visa and entry stamps obtained upon entry visit immigration authorities prior to departure to regularize their status. Persons attempting to depart without proper documentation may be subject to fines or delays in departure. Visit the Embassy of Tanzania website for the most current visa information. Emergency after hours: U.S. citizen emergencies should call 255- (0)22- 229-4000 and wait for the operator to answer. Climb Kilimanjaro strongly advise that you to visit your GP or local travel clinic as soon as possible after booking your trip to Tanzania. They will be able to provide you with all the relevant information you will require and the necessary vaccinations or other preventive measures; (such as malaria tablets or Diamox) for your Kilimanjaro trek. You should to be prepared to pay for the majority of these treatments as the vaccinations you will be provided with on the NHS will vary. Further information about travel health can be obtained from the NHS website. Yellow fever is an epidemic arbours disease spread by the Adedes mosquito. Travelers entering Tanzania from areas with risk of yellow fever transmission areas such as neighboring African countries are required to provide a yellow fever vaccination certificate. See the Tanzanian Government website for more details. As some countries list Tanzania as a Yellow Fever endemic country you may also be asked for a certificate after departing Tanzania and arriving at other destinations. Basic Swine Flu checks are carried out at the main points of entry to Tanzania. Cholera is an acute infection of the small intestine caused by the Vibrio cholera bacterium which causes severe vomiting and diarrhoea. The disease is transmitted through contaminated food and water and travellers should therefore practice strict food, water and personal hygiene precautions. Rabies is an acute virus of the central nervous system spread by bites from any infected mammal e.g bays, dogs, cats, foxes and raccoons. Some of the medicines that you may want to consider taking in your first aid kit are listed below. We would recommend that you discuss these and any other medication for Kilimanjaro with your GP especially as some of these; such as Acetazolamide (Diamox) will require a prescription. Ibuprofen/Nurofen is effective at relieving altitude induced headaches. Hydrocortisone creams are steroids which can be used to treat inflammation following an insect bite or sting. Oral anti-histamines are also useful in the treatment of insect bites and stings as well as seasonal allergies such as hay fever. Loperamide hydrochloride (Imodium) is good for the treatment of diarrhea; we would also recommend taking diaorrylite sachets as they can be used to replace body fluids lost as a result of diarrhea. Acetazolamide (diamox) is used for the treatment and prevention of altitude sickness; diamox does not mask the symptoms altitude sickness but actually helps to treat the problem. Side effects of taking diamox include; tingling of fingers, toes and face. Carbonated drinks tasting flat. Increased urination and occasionally blurred vision. It would be advisable to take a trial course prior to going to Kilimanjaro as any severe allergic reactions are easier to treat here than at a remote location. These may be useful if you get dust or grid in your eyes. You will need to consult your General Practitioner or travel clinic about malaria prophylaxis. These will not be required on Kilimanjaro due to the altitude, but will be required before and after your ascent. It is advisable to have some “protection” against the Anopheles mosquito. Products containg diethyl toluamide (DEET) is recommended as the most effective form of bite-preventive treatment. We recommend taking creams with a high SPF (30+) as the sun near the equator is very strong. Medical facilities in areas of Tanzania outside of Dar es Salam are limited. The Kilimanjaro Christian Medical Centre in Moshi is the nearest hospital providing Anaesthesia, Child Health and Paediatrics, Dental Care and Oral Hygiene, Ear – Nose – Throat, Eye -Ophalmology, General Surgery, Gynaecology/Obstetrics, Internal Medicine, Dermatology, Orthopaedics, Urology, Casualty & Emergency Medicine. This page is for the purpose of providing general information about potential health issues related to visiting Kilimanjaro in Tanzania. This is not a medical guide and should not used as such. We strongly recommended all travellers’ should consult with a health professional for specific information related to your travel. Climb Kilimanjaro cannot accept any liability for injury, loss or damage arising in any respect of any statement contained therein. Fortunately, the ailments you’re likely to encounter in East Africa are easily treated and rarely life-threatening. The most common ailment is simply an upset stomach, and most of the time this is the result of your body adapting to the bacteria of East African cuisine and water. African medical facilities have a terrible reputation because of the prevalence of AIDS and other serious diseases. However, for the more common ailments you’re likely to encounter, diagnosis and treatment can be accomplished with­out ever drawing blood or cutting into the body. There are many great websites with info on high-altitude mountaineering that offer much more information—including the High Altitude Medicine Guide (www.high-altitude-medicine.com), the British Mountaineering Council (www.thebmc.co.uk), and others—so make sure your trip is preceded by a dose of web reading. Also, check out the more mainstream health websites—like the World Health Organization (www.who.int/en) and the Centers for Disease Control and Prevention (www.cdc.gov)—for diseases not related to climbing / trekking. Also, if you are planning to get the above-mentioned shots, plan early. Some of them require several courses spread over weeks, even months, and some can’t be taken with other medicines. Malaria tablets are easy to get both in East Africa and at home, before you leave (nearly all courses require starting several weeks before you travel). There are several brands available (you can buy them at chemists’ shops and many hotels, restaurants, and bars in East Africa), and some even sell for pennies per tablet. However, according to some medical professionals, some brands of malaria medicine are not effective. Larium is reportedly the best antimalarial; however, it is not readily available in East Africa. It is also remarkably expensive, costing around US$150–200 for the typi­cal course (“generic” Larium is about half that). Ask your doctor before you go. The best way to combat malaria, however, is to cover up and prevent mos­quito bites in the first place. Dengue fever (there are several forms of it) has become something of a world issue in recent years, and an estimated 2.5 billion people worldwide are at risk of contracting it, according to the WHO, which also estimates that “there may be 50 million cases of dengue infection worldwide every year.” The fever mani­fests itself as a severe, flulike illness that affects people of all ages, but rarely causes death. There is no cure for dengue fever. Like malaria, it is transmitted by mosquitoes, so the best defense is to cover up against the insects and use repellent when covering up is not possible. Trypanosomiasis is spread by tsetse flies, and this disease has two distinct phases: early and neurological. The early phase includes fever, headache, itch­ing, and pain in the joints. The neurological phase occurs when the parasite that causes trypanosomiasis leaves the blood and enters the central nervous system. When this happens, the victim can experience confusion, a lack of balance, and reduced sensory skills. This is also when the parasite wrecks the sleep cycle, hence the name. If the disease is not treated, it is fatal. Worse, if treatment does not occur before the start of the neurological phase, neurological damage can be irreversible. Treated early on—the treatment consists of two sets of drugs, each combating the parasite in the two phases—the chance of recovery is high. If you think you have contracted trypanosomiasis, seek professional medical help immediately. Perhaps the most common ailment besides diarrhea is dysentery (and, obvi­ously, diarrhea occurs with dysentery). There are several kinds, but they all can be identified by severe stomach cramps and confirmed by a simple stool test, which can be done at any dispensary (pharmacy). Tap water is generally regarded as questionable to drink in East Africa. If you ask whether the water has been chlorinated, as some guidebooks suggest, you will either get an emphatic yes, regardless of whether it has been chlorinated or not, or no answer at all, as many local people are not sure what chlorination is. These days, most travelers, including climbers, rely on bottled mineral water, which is readily available throughout the region. High on Kilimanjaro, the water is extremely clean, except for those few places where it has been contaminated by human waste. The lower you are, elevation-wise, and the closer you are to campsites and popular trekking routes, the more likely it is not. Wherever you are, it’s a good idea to boil or treat your water at all times. No longer recommended. Only necessary if travelling from infected countries. Recommended. Tetanus vaccinations last for ten years and are absolutely vital for visitors to Tanzania. The vaccination is usually given in combination with one for diphtheria. Once you’ve had five injections, you’re covered for life. Recommended. This debilitating disease of the liver is spread by contaminated water, or even by using cutlery that has been washed in this water. The latest inoculation involves two injections; the first will protect you for three years, the second, taken six to twelve months later, will cover you for ten years. Recommended. The polio vaccine used to be administered by sugar-lump, making it one of the more pleasant inoculations, though these days it’s more commonly injected. Recommended. This disease is caught from contaminated food and water. Long stay visitors, rural. This disease of the brain is often fatal, though the vaccination is safe, effective and lasts for three to five years. Long stay visitors, rural travel. If you’re spending some time with animals or in the wilderness, it’s also worth considering having a course of rabies injections, though it isn’t pleasant. Recommended. Yellow fever is a viral illness that has caused large epidemics in Africa and the Americas and which is spread by the bite of a mosquito. Malaria is endemic to the region, especially on the coast. It is transmitted by infected mosquitoes. Remember that mosquitoes are most active during the evening and night. If infection is suspected medical advice should be sought immediately. Malaria is detectable with a simple blood screen, but the sample is best taken during a high cycle of the fever, when the infection is at its most active. Mefloquine one 250mg tablet weekly. OR Doxycycline one 100mg capsule daily. OR Malarone one tablet daily. Start two and a half weeks before travel, throughout your stay in an endemic area and continue for four weeks after return. Start two days before travel, throughout your stay in an endemic area and continue for four weeks after return. Start two days before travel, throughout your stay in an endemic area and continue for one week after return.